After registering their first victory of the season, Wakiso Giants will be hoping to continue their fine start to the 2018/19 Big League Campaign when they travel to Mbale to take on Bukedea Town Council. The Money Bags defeated Kataka FC 3-0 last Thursday, a result which took them to five points from their first three games. At Emokori Play Grounds on Thursday afternoon, they come up against a Bukedea side that has struggled since the start of the campaign, accumulating only a point from their first two games. They lost 1-0 at home to JMC and then drew with Kataka. The game will come only hours after Bukedea parted ways with tactician-Bashir Kalungi after the club deemed him unfit to lead them to the Promised Land (StarTimes Uganda Premier League). However, Wakiso head coach, Ibrahim Kirya is anticipating a difficult game for his side despite the issues at the Mbale based side. “They have issues at the moment and have been struggling since the league started but we will approach the game in the best way possible, said Kirya ahead of the game. “Away games in this division are so difficult to negotiate and am anticipating a tough fixture against Bukedea. “However, our target is to get a positive result and hopefully we will. Wakiso will be without Abdul Karim Kasule who stayed in Kampala due to family issues. Ashraf Mbaziira is also not part of the match day squad as he is currently in the sick bay with Malaria. 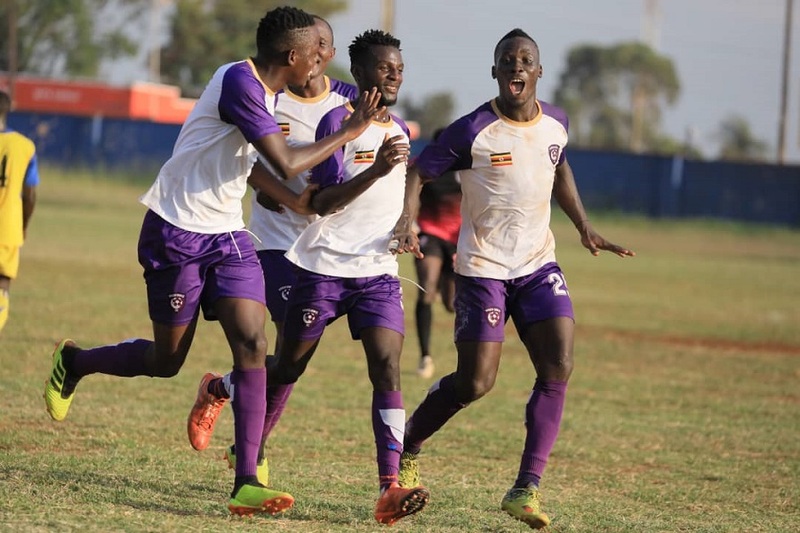 Kasule and Mbazira have been replaced with Junior Ainemani and Geoffrey Luutu with the later hoping to make his debut for the Purple Sharks. They will also still be without Steven Bengo and Sulaiman Jingo who also missed the 3-0 victory at home to Kataka last time out. In the other Elgon-Group games, Doves All Stars host Nebbi Central at the Green Light Stadium, Arua. Wounded Kataka face Kyetume at the CRO Stadium, in Mbale while JMC Hippos will be at home Steven Bogere’s UPDF at the Kakindu Stadium in Jinja. Kiboga Young hosts Kansai Plascon at the Bamusussuta S.S play-ground in Kiboga, new comers Dove play host to Kireka United at the Katushabe Play-ground in Masindi, Bumate United faces Kabale Sharp at the Christ High School play-ground, Bundibugyo, Water entertains Kitara at the Muteesa II Wankulukuku Stadium while Kira United locks horns with Ntinda United at the Mandela NationalStadium, Namboole. The FUFA Big League is the second highest tier league in the country. Three clubs are promoted from the FUFA Big League to the top tier.